“Haver” translates to “oat(s)”. “Klap” literally translates to “blow”. A “haverklap” was probably something like a handful of straw, which was considered a small, trivial thing. “Om de haverklap” hence meant something like “at the point of a trivial thing”: every moment, at the merest trifle. – Dikwijls: often, frequently [adverb]. 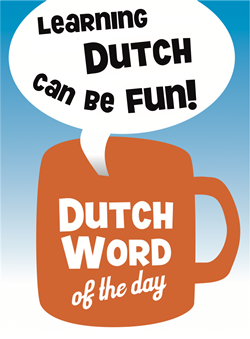 This entry was posted in Dutch phrase of the week, DWOTD 1.0, Vocabulary Intermediate by Marc. Bookmark the permalink. This would be the equivalent to the English expression “at the drop of a hat”. Hate to be a pedant, but you cannot continuously have a date (one very long date!). What you can have is a constant stream of dates. And the stock exchange cannot continuously crash (one very long crash!). What it can do is crash constantly ‘at the drop of a hat’ or ‘at the merest trifle’. I should add that I really like this site. Thanks. Pedantic comments are the best 🙂 I updated the post with your suggestion! Let me pile pedantry on pedantry then. While ‘continuously’ does mean uninterrupted, the related word ‘continually’ serves the original purpose nicely. ‘Continuously’ would mean Frank is constantly on a date. ‘Continually’ allows him to come home and wash his armpits occasionally. ?? 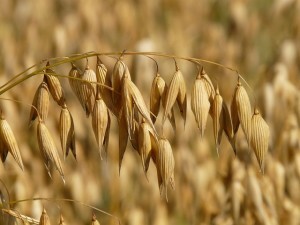 Haverklap is derived from the rytmic and endless work that is neccesary to make oatmeal. The oat(haver) is hit (klap) rytmically,over and over, in a very regular manner, to make oatmeal. Hi Mark – thanks for your comment. Although we are aware of the translation that you give (and which makes perfect sense), we chose to follow the explanation as given in the “Van Dale Groot Uitdrukkingen woordenboek” (which better motivates the meaning of “at the merest trifle” – ‘bij de geringste aanleiding’). The “Van Dale Etymologisch woordenboek” even states that the actual meaning was “na elk kleppen van de aveklok” (“after chiming of the church bells”; ‘ave’ in this case means ‘prayer’). Which would then motivate the translation of ‘(at) every moment’.